Trekking Ban in Uttarakhand Lifted. On 21st August 2018, High court of Uttarakhand passed an order to ban all the trekking activities in Uttarakhand. This was a step towards conserving the nature and preserve the beauty of the bugyals. However, trekking ban in Uttarakhand meant that the adventure and thrill came to standstill. The trekkers across the country had already made the bookings. Due to this decision, there was a distress amongst the people and huge losses. A complete trekking ban in Uttarakhand means people started to move from Uttarakhand and went to other adventurous places like Himachal Pradesh, Kashmir and Leh. The locals of Uttarakhand relied heavily on the big and booming adventure travel industry. The locals were unemployed due to this decision and also filed the petition against the order. The government of Uttarakhand also challenged the order as it takes away the right to livelihood from thousands of people across the state. Kedarkantha Trek is one of the most popular winter trekking destinations in Uttarakhand. It is an easy snow trek and a great option for beginners as well as experienced trekkers. The snowy wonderland, Kedarkantha trek is one of the top 6 day treks in Uttarakhand Himalayas. 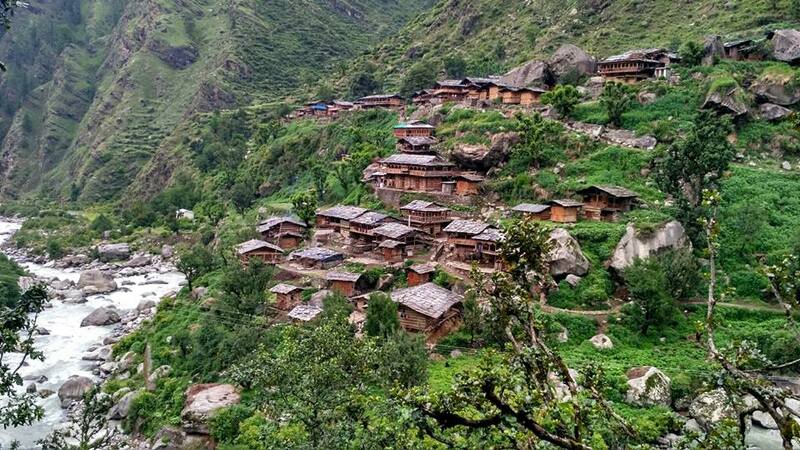 The best time to visit the Kedarkantha trek is from December to April during winter. It is located within Govind wildlife sanctuary in Uttarkashi district and at an altitude of 12,500 feet in Garhwal Himalayas. 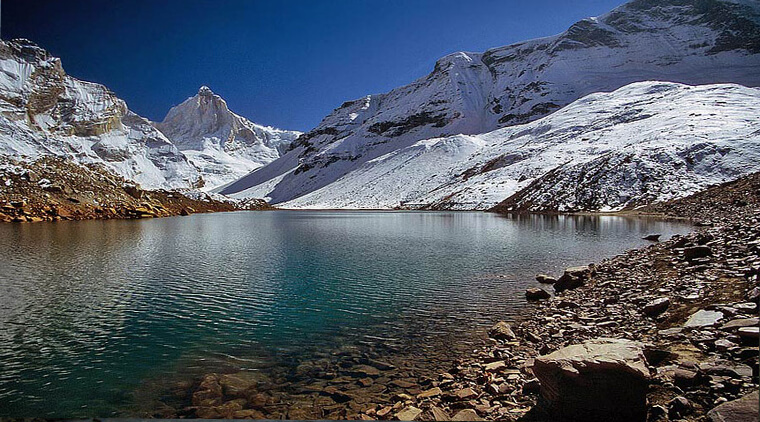 Brahmatal Trek in Uttarakhand under crisp blue skies, surrounded by the snow-capped mountains is absolutely spectacular. It is situated in the Chamoli district of Uttarakhand and is an easy trek suitable for beginners. You will walk through the thick forest of Oak, pine and rhododendron and stay in the gorgeous campsite and trek across meadows to a grand summit at 12,198 feet. The best time for Brahmatal Trek is from December to April. One may see the astounding views of pointed snow-covered peaks of Mt. Trishul, Nanda Ghunti and the close view of the jatropani peak, Kamet (second highest peak of Garhwal) with the naked eyes. One may spot the numerous stars and galaxies that are never visible from the city. The Kuari pass trek is surrounded by the beautiful forest of oak and rhododendrons which are covered with snow during the winters and is straight out of those fairy tale books. The trek brings up all your fantasies into the real world. You will feel as if you have dived deep into the book of Alice in the wonderland. Kuari pass is an easy trek and also is a popular winter option in Uttarakhand. This trek can be easily done even by the beginners. The best time to trek Kuari pass trek is from November to April. 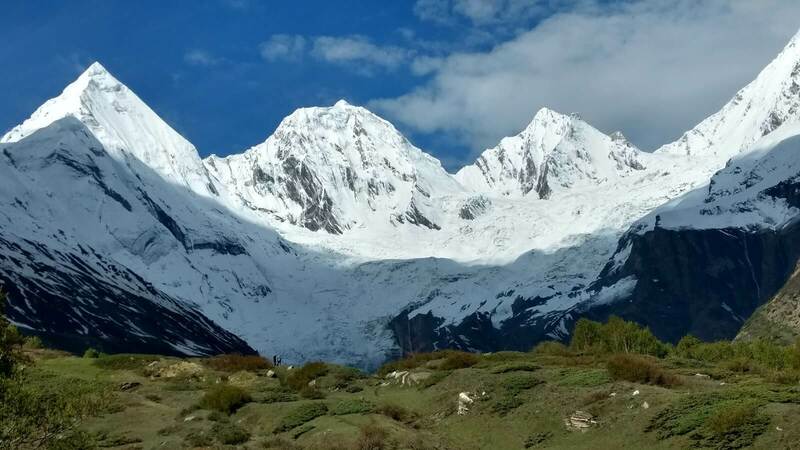 Trek guarantees you to delight and offers the very beautiful campsites and superb mountain views of Mt Nanda Devi, Chaukhamba, Neelkanth, Dronagiri, Nilgiri and Hathi Ghoda. Nag Tibba trek is one of the jewels of Uttarakhand, this picturesque destination is popularly known as the ‘Mountain of the Serpent’. With gorgeous natural beauty and the stunning views of the snow-capped peaks, this 3-day easy trek takes you through the thick forest of Oak and Deodar. Nag Tibba Trek offers the panoramic view of the entire Bandarpoonch range, the snowy peaks of Chanabang. At an altitude of 9,915 feet, Nag tibba is a picturesque trek in the lesser Himalayan region of Uttarakhand. If you love to experience snowfall or snow trekking, the best months to travel to Nag Tibba would be January to March. Khaliya top trek in Pithoragarh district of Kumaon region, Uttarakhand is a spectacular short trekking destination. Enjoy the pristine snow filled campsite and the serenity of the lush green meadows along with a 360-degree view of the Himalayan mountains. Chopta-chandrashila trek is a 4-day trek where you can get a marvellous view of the Himalayan peaks. Trekkers may catch the mountains overflow with sunrises which can be such beautiful at the time that it can bring tears to the eyes. The special charm of towns along with the natural beauty all around will give you an unimaginable feeling. One gets to see snow clad peaks in full glory. All around you the Sentinel Himalayan mountains and peaks of Himalayas, with the likes of Nanda Devi and Chaukambha project their deep meditation. It is the perfect ambience to lose you and reflect upon the questions of life. Pangarchula Peak is situated in a Joshimath region of Chamoli district in Uttarakhand. It is located at an elevation of 15,000 feet above sea level. The trek provides a unique experience to its trekkers in the form of snow camping along with the twinkling star, long walks on the snow ground or a trekking experience on the Himalayan mountains. This trek is surrounded by the pine, oak, rhododendron trees and you can also capture the outstanding view of the mountains. From the Pangarchulla peak, trekkers may capture the views of the beautiful Himalayan ranges as Pangarchulla summit is surrounded by the attractive peaks in all direction like Chaukhamba, Kamet, Hathi-Ghoda and other peaks. Best time to trek Pangarchulla peak is from February to May. You see a panorama of Himalayan peaks like Mt Bhrigupanth, Mt Thalay Sagar, Mt Manda, and Mt Bhagirathi. One can also see peaks like Mt Gangotri and Mt Meru, Mt Jogin and also the wildlife of the Himalayan region. The best time to visit Kedartal trek is from May to June and September to October. Tapovan Nandanvan is a moderate level trek. It is located at high altitude alpine meadow at the height of 14,763 feet in the Uttarakhand Himalaya. It is a 5-day trek which takes you through the beautiful alpine meadows, water streams and Gangotri glacier. Tapovan Nandanvan trek is one of the must visit a place, and is quite famous for a grand view of the mountains, Mt. Bhagirathi, Mt. Shivling and Mt. Meru. Panchachuli Base Camp trek is located at an altitude of 13,975 feet, located in Pithoragarh district of Uttarakhand. It is an easy to moderate trek. 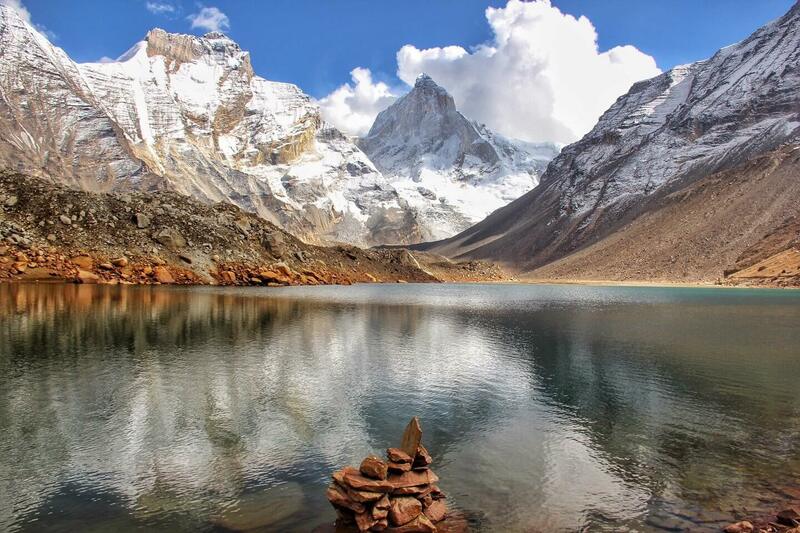 Panchachuli Base Camp Trek lies in Kumaon ranges in Uttarakhand Himalayas. The 9-day trek route to the glacier through the alpine meadows and snow-capped peaks is just stunning. 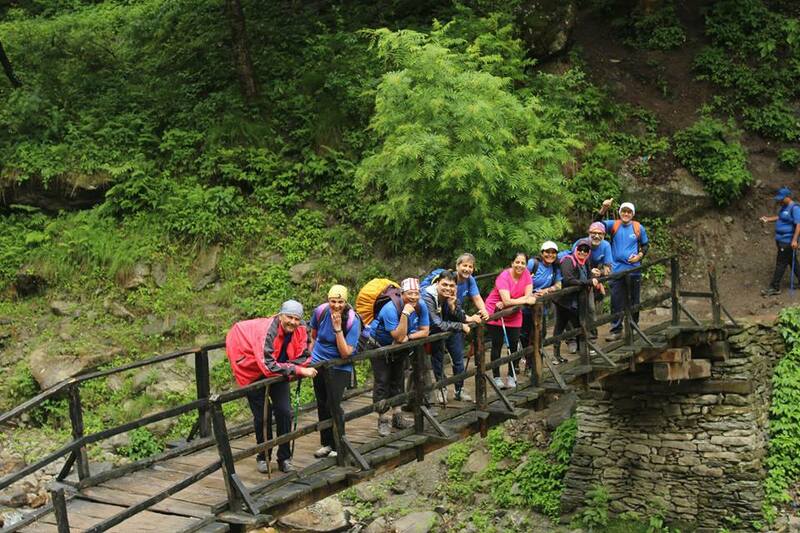 The best month to trek Panchachuli base camp is in summers from the months of May to June. The term ‘Satopanth’ is derived from two words ‘sato’ denotes truth and ‘path’ refers to way. This means the Path of Truth. Satopanth tal trek is a beautiful trail to a triangle shaped satopanth lake in Uttarakhand. The beauty offered by the trail cannot be expressed in words. As the name suggests trail of truth is where one can enjoy the true marvels of nature. Satopanth tal trek temperature in summer around 15°C to 20°C in the day and -2°C to 2°C in the night, while the winter temperature may drop 8°C to 10°C in the day and -15°C to -25°C in the night. The best time for Satopanth Tal trek is may to June and September to October. You can enjoy the spectacular view of the snow-capped mountains like Mt. Chaukhamba, Mt. Neelkanth and Mt. Swargarohini. Nandadevi base camp is located at an altitude of 13,123 feet. 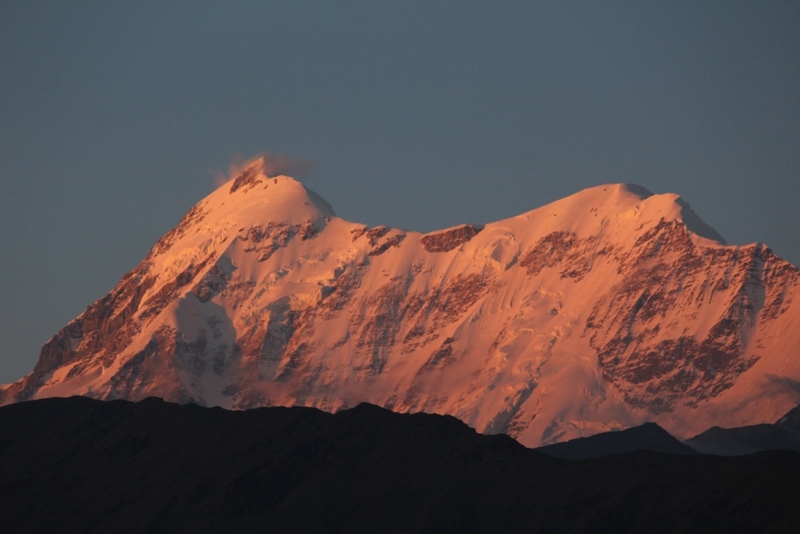 Nanda Devi is the second highest peak in Indian Himalayan. It is located in Chamoli district of Uttarakhand. The trail to the Nanda Devi East Base Camp attracts thousands of trekkers every year. Trekkers may see the melted water of Nanda Devi group of glaciers and then forms RishiGanga river. This river later takes the form of Dhauli Ganga. The Nanda Devi group of glaciers has seven other glaciers called Kururntoli, Bartoli, Ramani, Nandakna, Trishul, Nanda Devi North and Nanda Devi South. Although the trail to the Nanda Devi East base camp is difficult but the majestic view of the glaciers, pine forest and rivers will make you spellbound. The best time to do Nanda Devi Base Camp Trek is from May to October. Do you have any type of ideas for writing write-ups? That's where I constantly struggle as well as I simply finish up staring empty screen for long time.